Every now and then a recipe catches my eye and I can’t stop thinking about it until I make it. When I got my weekly America’s Test Kitchen email recently, this recipe jumped out at me. 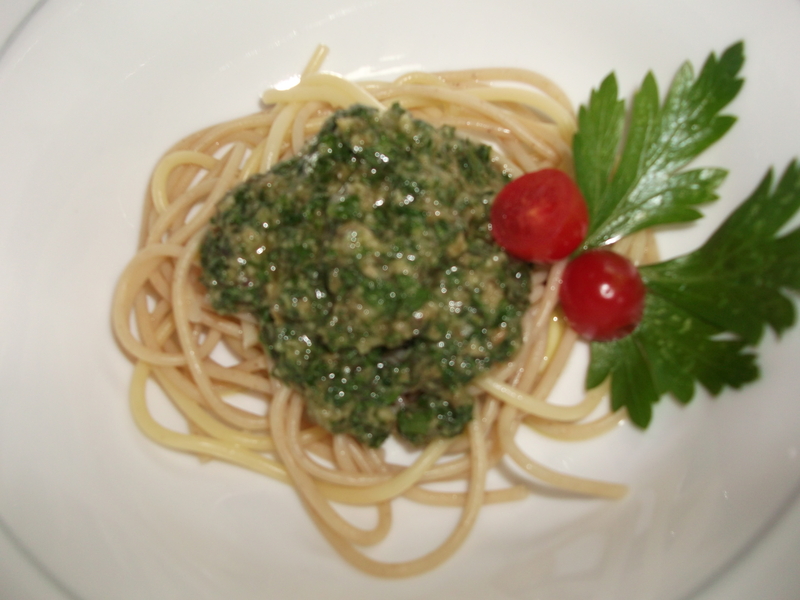 I consulted my favorite Italian cookbook (Savoring Italy) and found it in there, too, so I took a little from each recipe and made a batch. I loved the salty, tangy results and have already used it several ways: drizzled over shrimp on top of sliced fresh tomatoes, and as a marinade for chicken. 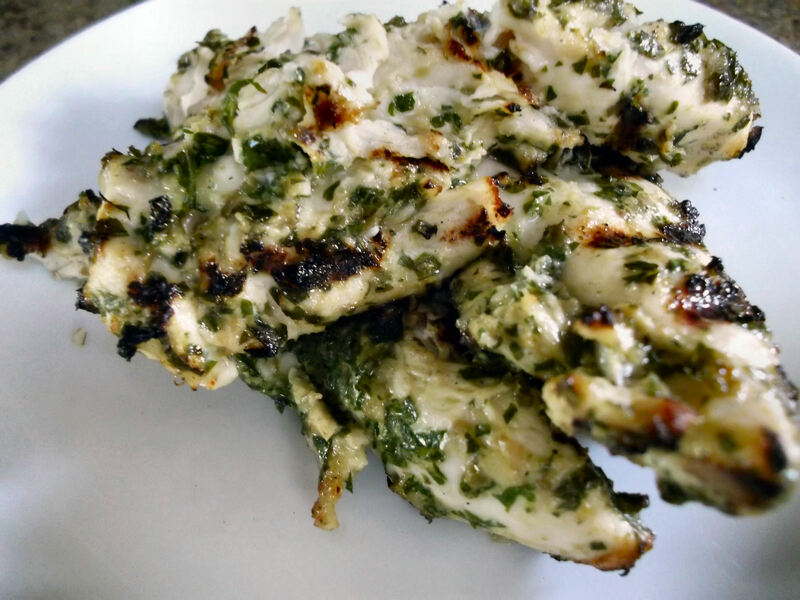 It’s pretty great as a condiment for grilled or roasted meats or fish, too! Zest the lemon and then juice it to yield 2 T. Toast the bread in the toaster at the lowest setting until dry but not browned, about 15 seconds or until the moisture is gone. 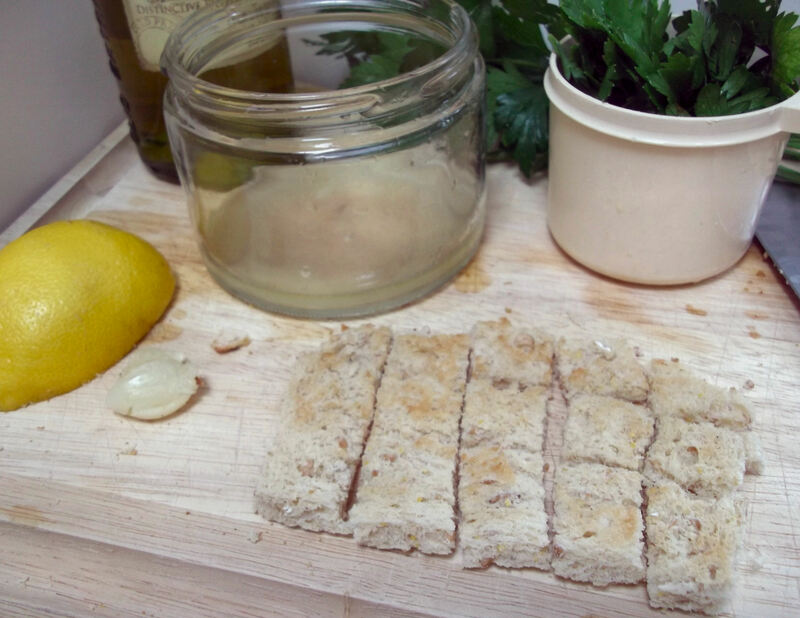 Cut off the crusts and chop roughly into 1/2” pieces to yield about ½ C.
In a food processor or blender, place the bread pieces, extra-virgin olive oil, lemon zest and lemon juice; process until smooth, about 10 seconds. Transfer mixture to small bowl and serve. Keep refrigerated, covered, for up to 3 days. 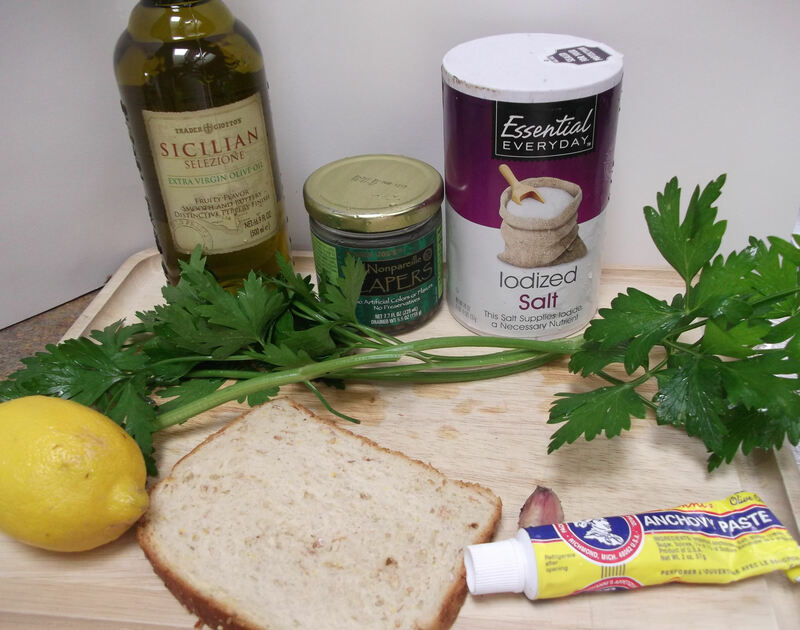 Serving suggestions: serve as a condiment for grilled or roasted meat, fish, shrimp, or poultry, or use as a marinade for chicken or other meats. Adding the bread to the sauce keeps the flavors balanced and prevents it from separating. 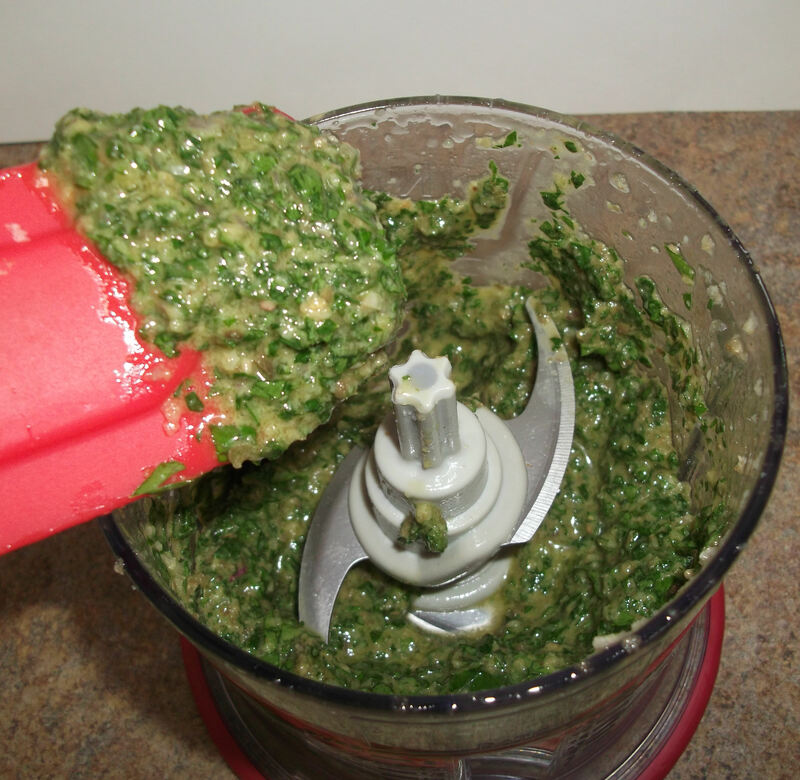 Toasting it first gets rid of moisture that might otherwise make the sauce gummy. 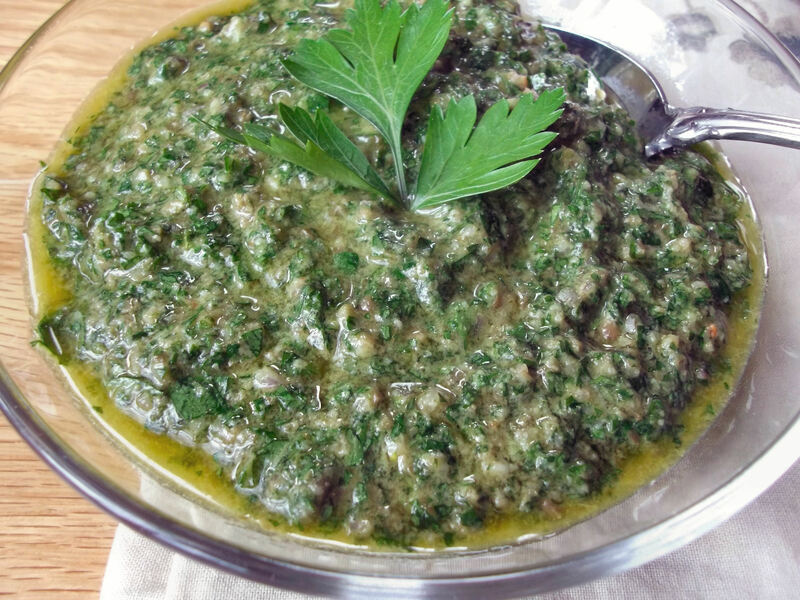 Use flat-leaf (Italian) parsley instead of curly parsley, as it is more fragrant and has a sweeter flavor. Don’t skip the anchovies, even if you can’t stand them on their own! Think of them as a flavoring component, which is exactly what they are. They add a rich, salty flavor that the sauce depends on for its depth, and you will never know they are in there once they are blended in with the rest of the ingredients. Not only that, but the sauce won’t taste nearly as rich or savory without them. 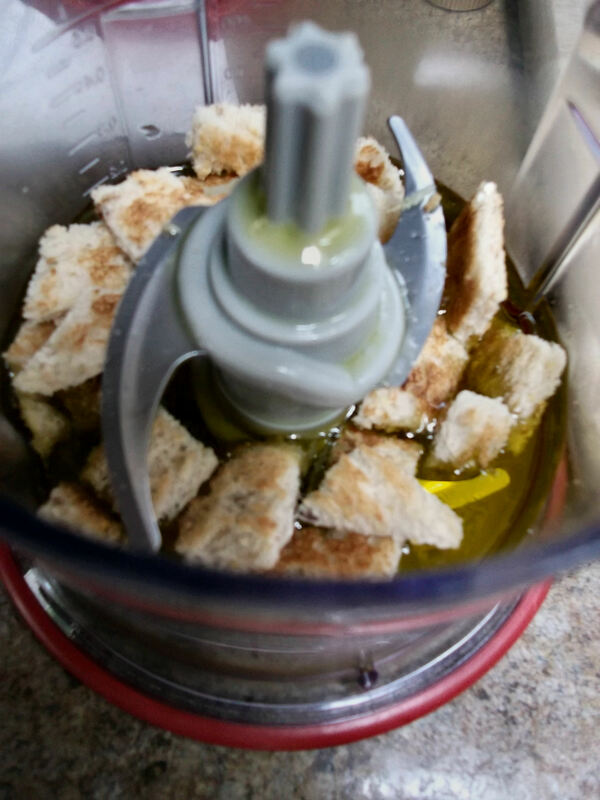 In a food processor or blender, place the bread pieces, extra-virgin olive oil and lemon juice. 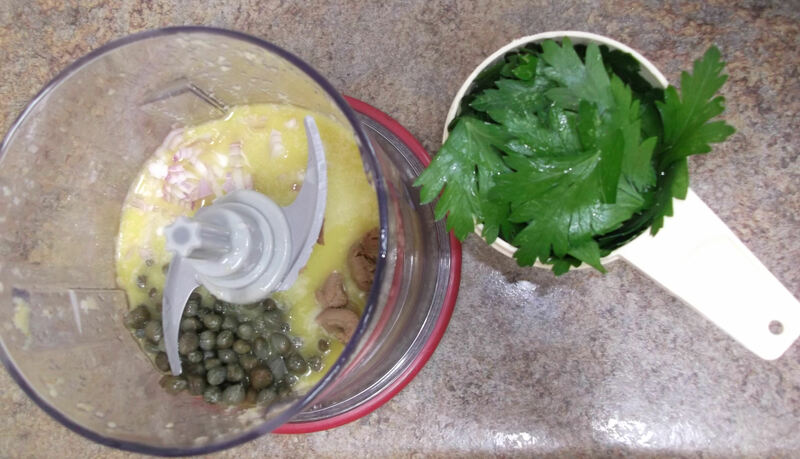 Process until smooth, about 10 seconds, then add the anchovy paste (or fillets), capers, garlic, shallots, parsley and salt. Pulse the mixture using about 5 one-second pulses until the mixture is finely chopped, but not smooth. It should remain somewhat coarse. Scrape down the side of the bowl with a rubber spatula after 3 pulses. 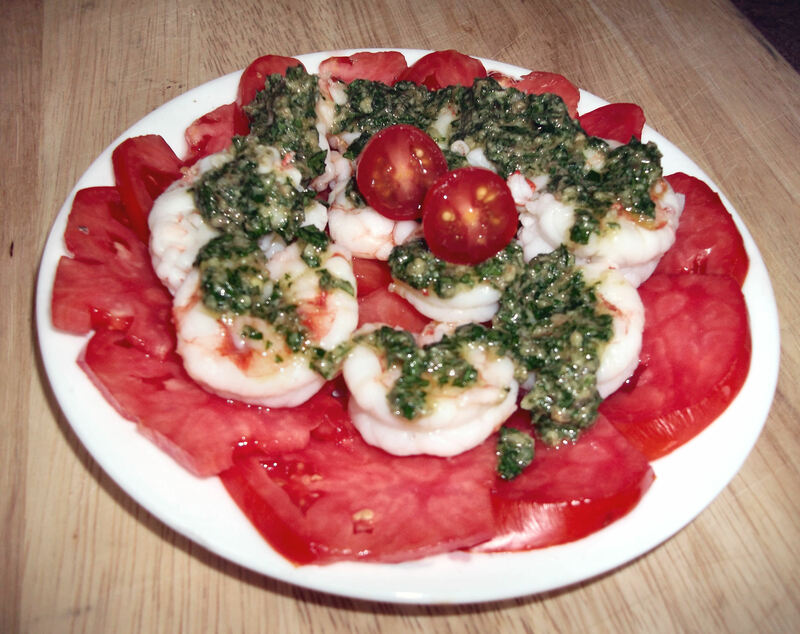 I placed cooked shrimp atop some sliced fresh tomatoes, and topped the shrimp with the sauce for a tasty appetizer. The sweetness of the shrimp was a great counterbalance to the tangy, savory flavors of the sauce. I have to confess that I got this idea from the cookbook. I wish I were creative enough to have come up with it on my own. Next, I topped some pasta with the sauce, but recommend using about twice as much pasta and half as much sauce as pictured here, as the sauce is very flavorful, and a little goes a long way. Yes, this was an original idea, which is why I’m suggesting the portion modification. 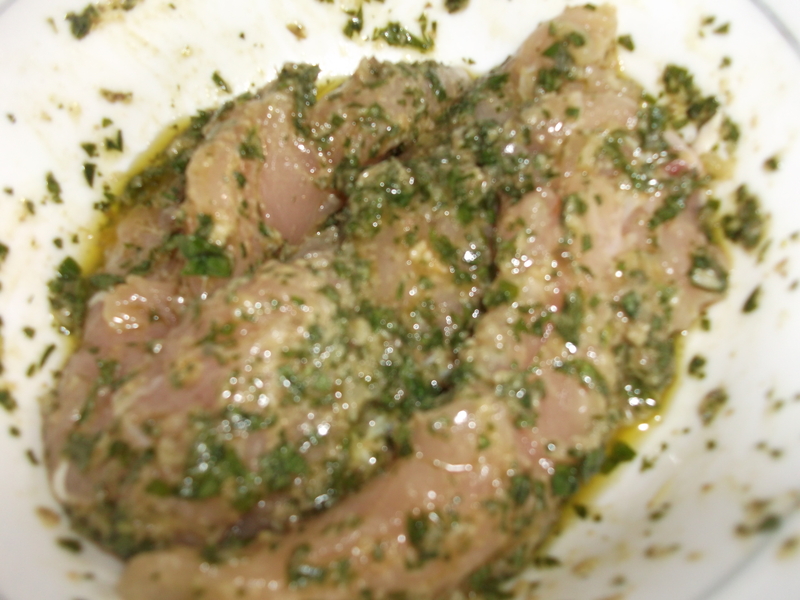 Finally, I spooned some of the sauce over raw chicken tenders and let them marinate for about an hour. Then I grilled the chicken and was amazed at the results: the sauce had almost a sweet flavor from cooking, and the chicken was flavorful and incredibly tender, even after I left it on the grill a little longer than I should have. The chicken was fantastic on its own, and I used up the leftovers chilled on a salad. Keep leftover sauce refrigerated, covered, for up to 3 days. Enjoy! OOh! I love tangy things! This is surely a recipe I’ll have to try! Yum!